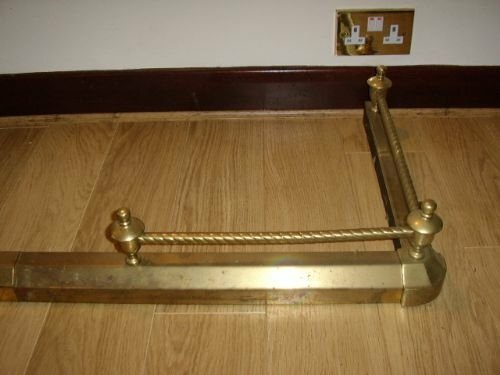 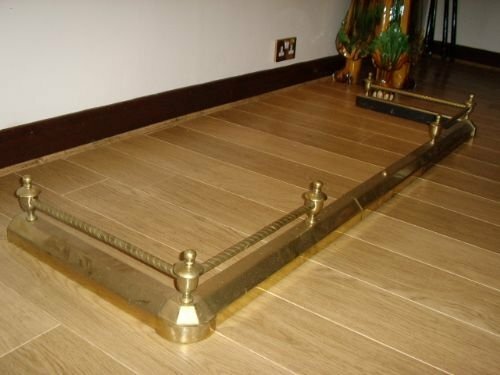 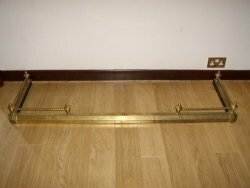 A Brass Fire Surround,which has been designed as fully adjustable,by sliding open or shut the two end sections. 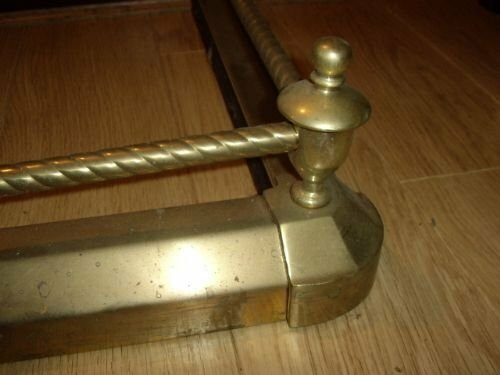 The surround can be re- polished to improve the appearance once a sale is agreed,but as brass can tarnish quickly,we have left the item untouched. 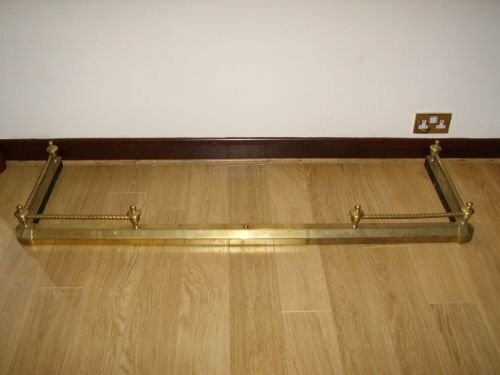 Fully Extended Width 77 Inches /Internal Size 73 "
Closed Minimum Width 64 Inches/Internal Size 60"
The Main Surround is 2.5 Inches Deep. 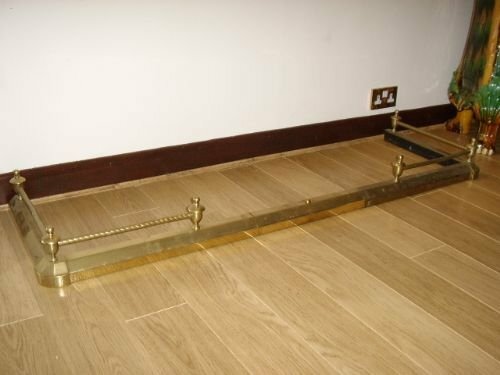 Please Request a Quote Suppling Post Codes.